DEMAND AND GROWTH IN KIRKSTALL The Leeds's housing supply has been lower than the annual target since 2009. In the wider region, the population has grown by 3.1% over the past five years. The region needs over 90,000 units to be delivered by 2021. However, only 60,000 residential units are currently in the development pipeline for this period, creating a housing shortfall of 30,000. Kirkstall Gate is on the door step of the new Kirkstall Bridge Development and Cardigan Fields. As a result, the site benefits from numerous local amenities such as, Morrison's, Aldi, M&S, Vue Cinema, Virgin Active and many more. The development is ideally located for young professionals and students with a short 10 minute commute into the City and to the universities. 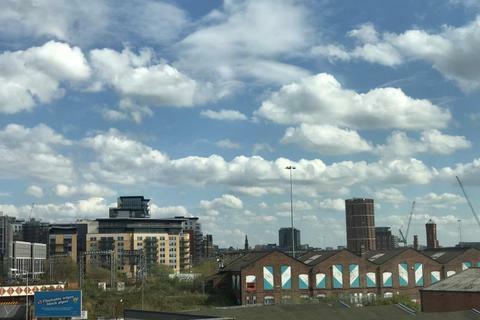 Kirkstall Gate is ideally located for those who wish to live on the outskirts of Leeds City Centre, but still have the convenience of City Living right at their door step. Kirkstall Gate is located just a 10 minute drive from Leeds City Centre and benefits from being on one of the main bus routes into the Leeds every 15 minutes. They are ideal for both owner occupiers and investors looking for a sound return. Kirkstall Road leads directly into the heart of Leeds City Centre. Coming in form the west of the City means Kirkstall Gate benefits from leading straight towards the train station and the financial district of the City where many major employers are based, such as KPMG, Ernst & Young, Lloyds Banking Group, Asda, PwC and Direct Line. 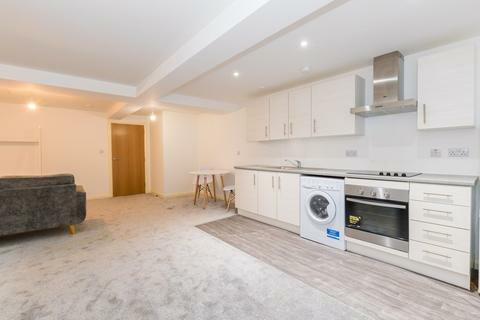 RENT, YIELDS AND PARTICULARS Kirkstall Gate is currently being redeveloped and makes a perfect buy to let investment, offering initial yields up to 7%. Based on current market conditions, we anticipate that the rents will range from £575 - £650 PCM subject to the unit style and size. The lease for each flat will be 250 years with an annual ground rent of £250. Service charges vary on the flats, ranging from £500 to £700 per annum, calculated on the size of the properties. With plenty of amenities and a fantastic community, Kirkstall Gate is right at the heart of everything the popular suburb has to offer, including award winning cafes and restaurants, plenty of shops and established retail parks, a cinema, lots of health and fitness facilities and the recently opened railway station all on its doorstep. 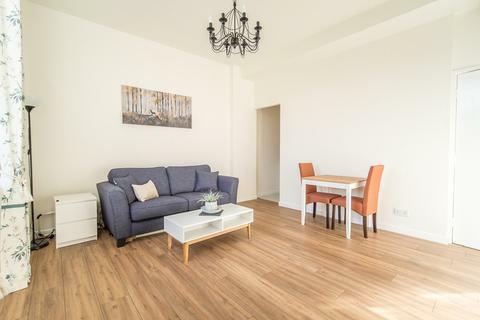 Kirkstall Gate offers a choice of studio and one bedroom accommodation with car parking. It's already proved to be popular development with just 8 units left as of 01/12/2017. PARKING Parking is gated with secure coded access. It's unallocated and residents can use it on a first come first served basis. INCENTIVE For any properties purchased through North Property Group, we offer free Rent Guarantee Insurance for 12 months to our clients. SELLING FAST The development has been hugely popular and only 8 units remain. 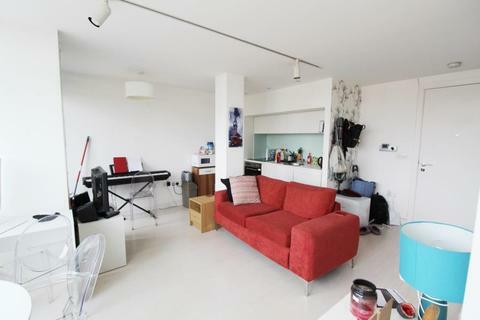 Do not miss out - ring North Property Group on[use Contact Agent Button] to arrange a viewing on the show-flat today! Property reference 102866000608. The information displayed about this property comprises a property advertisement. OnTheMarket.com makes no warranty as to the accuracy or completeness of the advertisement or any linked or associated information, and OnTheMarket.com has no control over the content. This property advertisement does not constitute property particulars. The information is provided and maintained by North Property Group - Leeds. Please contact the selling agent directly to obtain any information which may be available under the terms of The Energy Performance of Buildings (Certificates and Inspections) (England and Wales) Regulations 2007 or the Home Report if in relation to a residential property in Scotland.